Enjoy hassle-free moving services from us! We guarantee convenience and assurance that your items are transported on time and in one piece. This company did a great job moving my mom from one apartment to the other in her assisted living facility. They paid attention to every detail and set up her new apartment just the way she wanted! They were thorough, supportive, and understanding! I would definitely use them again and recommend them to anyone who needs help to move a parent. 5-star service! Thank you to Karlos and his entire team for making my mother-in-law's move so smooth! From beginning to end, Karlos made sure she was happy and satisfied and he also kept in touch with me and even sent pictures showing everything in place after the move. They do it all! Thank you Karlos! These guys are the best! Karlos Richardson has created the best senior moving company I know of, and I've used 2 different ones in the past to move my mother. They provide not only help with moving, packing and unpacking, but they will store anything that can't fit, and they have a very talented interior designer on staff that makes the downsize as painless as possible.The movers were attentive, worked really well with me, and their interior designer on staff, Tamechi, is wonderful. When we moved my mom from a studio apartment to a bedroom in a Board and Care, she really had to downsize. Tamechi made it possible for her to keep her prized possessions in her new room in a way that was tasteful and comfortable. Also, their rates are unbeatable! Be worry free! You don’t have to lift a finger because you can leave the moving and packing to us. We work with many assisted living facilities, board and cares, and independent living homes. Save countless hours calling, risking yourself, or being taken advantage of. Let us help make the hard work look easy. Become better informed about partnering with a company that specializes in senior moving services, as opposed to a regular moving company that has no idea about the process of moving out of a home full of memories and sentimental value. You’ll be impressed with the services we can provide today. How do we work? Our process is as easy as 1-2-3, offering a three-way step! Phone: Call and request a free in-home assessment. In-person: Meet with an adviser and get a quote within 24 hours. 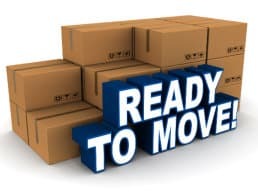 Online: Schedule a time and date of the move. Assisted Living Movers provides a storage option that can be a great asset to a family that may not be able to sort through their loved ones personal belongings due to time constraints, grief, or distance. This option allows you to pay a monthly fee until you are ready to sort through the items or have them brought to another location at your convenience.